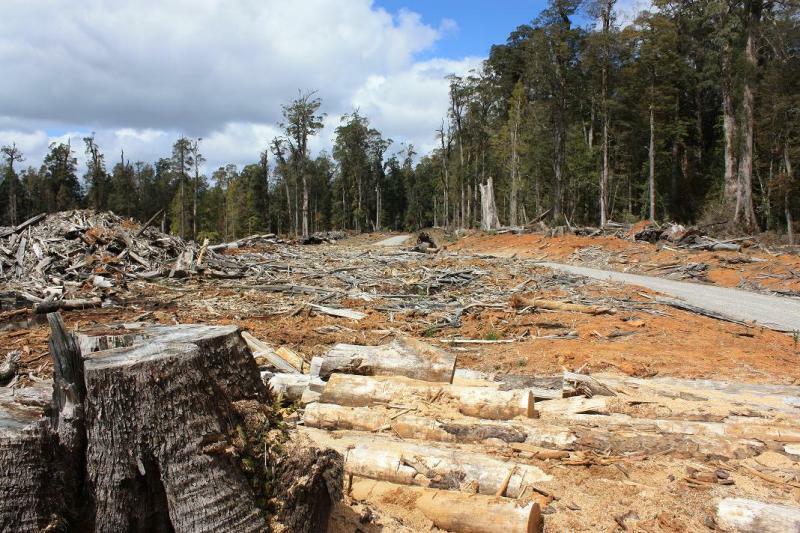 What area of old growth native forest has been saved from business-as-usual deforestation as a result of the United Nation’s declaration of 2011 as the International Year of Forests? 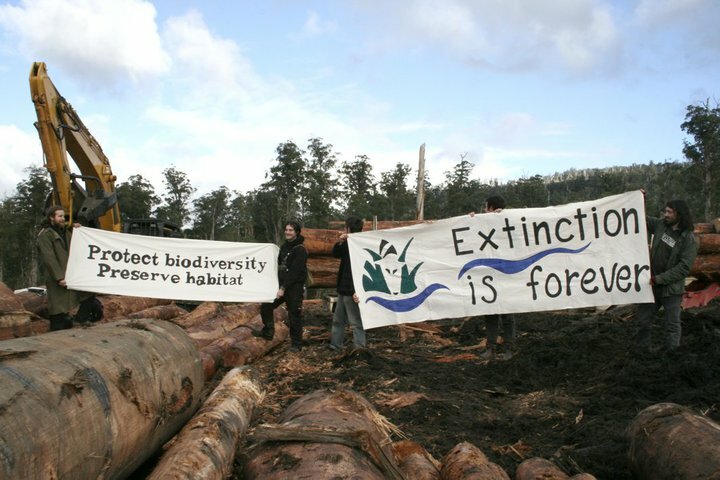 UN International Year of Forests 2011 – ‘Global Objectives‘? Reverse Forest Loss – reverse the loss of forest cover worldwide through sustainable forest management, including protection,restoration, afforestation and reforestation, and increase efforts to prevent forest degradation. Enhance Forest-based Benefits – economic, social and environmental benefits, including by improving the livelihoods of forest-dependent people. Increase Sustainably Managed Forests – including protected forests, and increase the proportion of forest products derived from sustainably managed forests. Mobilize Financial Resources – reverse the decline in official development assistance for sustainable forest management and mobilise significantly-increased new and additional financial resources from all sources for the implementation of sustainable forest management. Sounds encouraging, but where are the stated deliverables?, key result areas?, key performance indicators?, programme targets?, UN budget to achieve these global objectives? Where is the implementation plan and the delegated implementation task force? The website is thick on its public relations message, but thin on substance. In the absence of any mention of the means to achieve these four objectives, my initial reaction is that it is more motherhood and perhaps just about ‘raising awareness‘. But don’t we already know that deforestation is a critical global problem? The aim of the UN International Year of Forests 2011 seems to have merely been “to raise awareness and strengthen the sustainable management, conservation and sustainable development of all types of forests for the benefit of current and future generations“. It just sounds like more Forestry spin! UN International Year of Forests 2011 – ‘Global Achievements‘? The only other information that may be gleaned from the official UN site covers topics such as promotional events, films, photos, collaborative global partner organisations plus some forest statistics, a few online publications but that’s about it. So today on 30th December 2011 as the International Year for Forests draws to a close, what has the UN programme actually achieved? What area of the world’s native forests has been protected from otherwise business-as-usual deforestation? 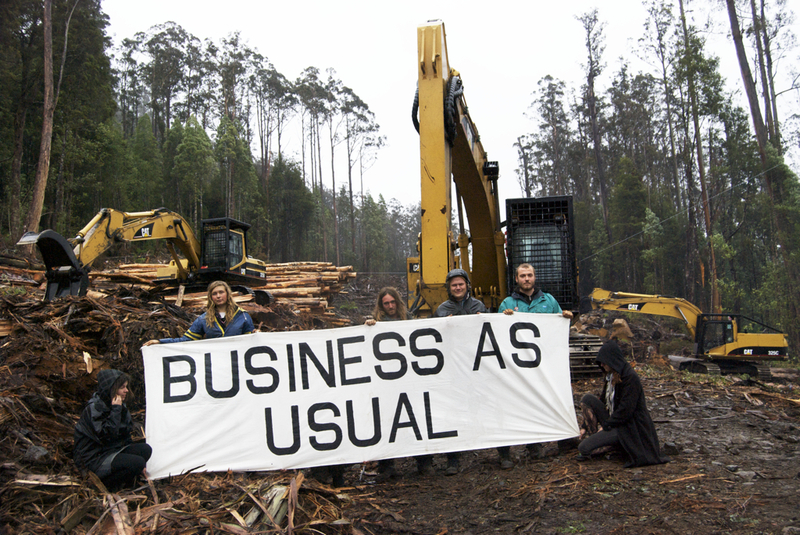 What has stopped Forestry Tasmania and its band of loggers from their business-as-usual holocaust treatment of Tasmania’s endangered ancient native forest ecosystems? Answer: More PR funding for the UN’s next programme? 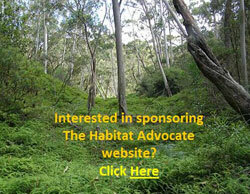 ‘Australia has some of the most beautiful and productive forest areas in the whole world. These fantastic and magical places mean a lot of different things to different people. Some of us work with the wood from the forests. Some work with the creatures that live in the forests. Some of us live in the forests and some of us play in the forest (camping, hiking, exploring) and some of us just love looking and being in a forest! ‘Without a doubt what ever your use, be it a little or a lot, Australian’s should be proud of Australia’s forests! ‘The United Nations announced 2011 as the International Year of Forests. Australians can unite and celebrate our sustainably managed forests and the diversity that our forests bring to our lives. Our forests give us wood that we use every single day and these very same forests give us the best playground that our kids could ever hope for. Australia’s forests are used by everyone and are the best in the world! ‘Australia has about 4 per cent of the world’s forests on 5 per cent of the world’s land area, and has one of the best managed forestry sectors in the world. ‘The nation’s forests, and the products they produce, provide significant employment, environmental and recreational benefits to communities across Australia. Australia’s forestry and wood manufacturing sector employs nearly 76,000 people, many in regional areas, and generates around $7 billion worth of wood and paper products annually. ‘Across the nation the forests in conservation reserves cover over 23 million hectares. These reserves provide recreational benefits for communities and contribute to the 12 billion tonnes of carbon stored by Australian forests. Industry and government have been working hard to make sure our forests remain sustainable and viable for the long-term. 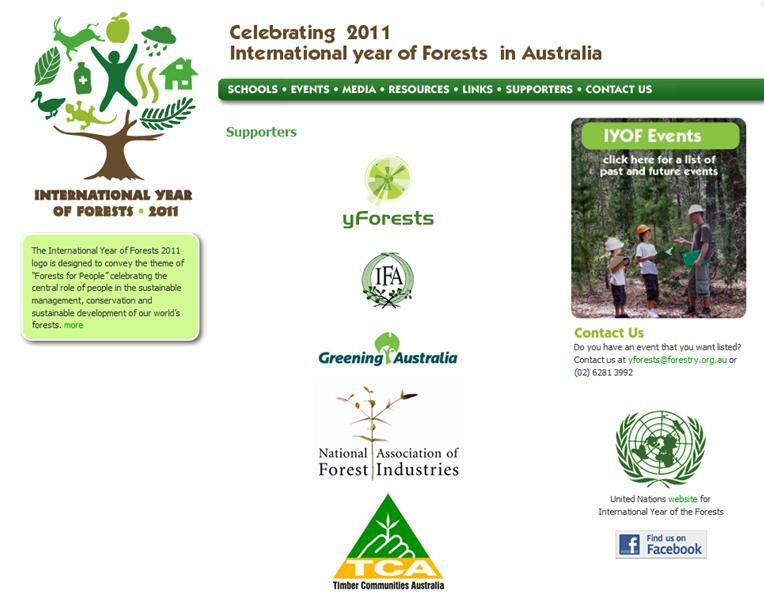 And guess who’s embraced the 2011 International Year of Forests with public relations relish? ‘Forestry Tasmania (FT) kicked off its celebrations for the United Nations International Year of Forests 2011 with an open day at the ‘forest in the city’ in its Hobart headquarters on 25 January. The event proved to be a popular summer holiday diversion, with a steady stream of families, shoppers and naturalists flowing into the Melville Street Dome throughout the afternoon. Their curiosity was rewarded by science and fire fighting displays, indoor abseiling, and even the opportunity for the young (and young at heart) to have their photo taken with ‘Krusty’, FT’s very own giant freshwater crayfish. 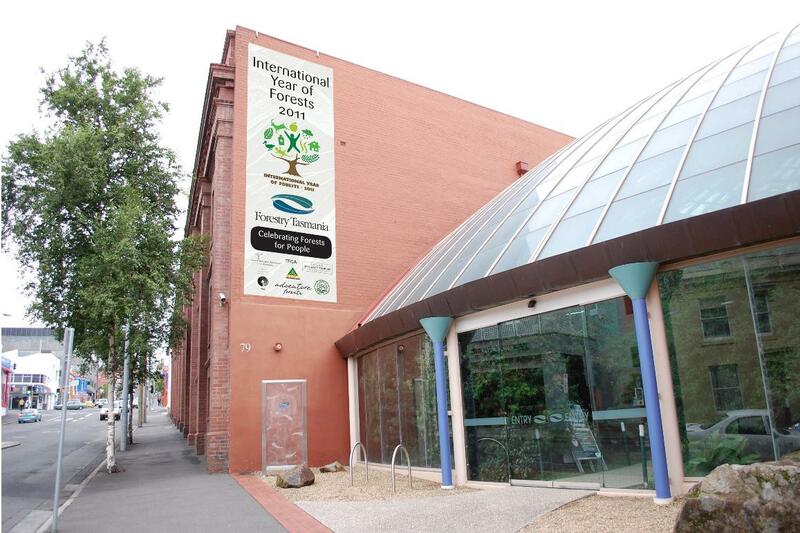 …to educate children early on that Forestry is good for native forests. 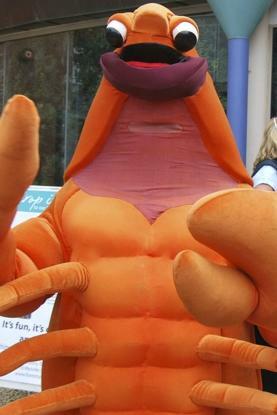 Tasmania’s endangered Giant Freshwater Crayfish just loves loggers destroying its habitat. Get ’em while they’re young Bob! Forestry Tasmania’s General Manager Corporate Relations and Tourism, Ken Jeffreys, said the open day was just a taste of things to come, with a 12-month calendar of events planned to celebrate the International Year of Forests. “We have a number of exciting projects scheduled over the next year, such as the opening of new accommodation at Tahune, to be called the AirWalk Lodge. “This development will, for the first time, see family accommodation available at one of Tasmania’s most highly visited tourism attractions. It will allow our guests to spend a full day experiencing all of the activities on offer at the AirWalk, as well as the many other attractions on offer in the Huon Valley. “The year will also see a number of high-profile sporting events on state forest, including mountain biking and the multi-sport Ben Lomond Descent. Mr Jeffreys said FT’s staff were excited by the opportunities presented by the International Year of Forests 2011. ‘Before I hand over to Rebecca White MHA to officially launch the International Year of Forests, I’ve been asked to say a few words about what our forests mean to the people that work here in Forestry Tasmania. Since our values come from our personal life-experiences, all I can do is tell you my own story, while recognising that every one of us here has their own story too. I work as a researcher, a conservation biologist, with Forestry Tasmania. In some ways I deal with the meat in the sandwich that is forestry today – what does nature have to say about how we manage – or should manage – the forests in our care? But I want to start at the beginning. Life is all about discovery, learning and figuring things out, and I was lucky to discover early in life that nature, and forests, can be an excellent source of inspiration and experimentation. So here are a few of my naturalists’ memories, going back to toddlerdom. Figuring out that earthworms have bristles that work like legs – if you fill an empty milk-bottle with worms and then leave the milk-bottle in the kitchen, the worms climb out and slither all over the kitchen floor. Learning that if I sat very still in the woods, I could watch the native mice going about their lives – and I could even catch them in my hands – but that they would bite my little sister’s hands if she tried the same thing. Learning that bumblebees loved the nectar of honeysuckle flowers as much as I did – and that they wouldn’t sting if I picked them up to enjoy the sensation of having them buzzing around in my cupped hands – but that they would sting my little sister’s hands if she tried the same thing. Discovering that it wasn’t only nasty wasps that filled the summer air with their droning, but beautiful flower-loving hoverflies – but little sisters aren’t always good at telling them apart. Realising that hungry ground-beetles eat lizards if you keep them in the same cage and don’t feed them. Learning that baby starlings abandoned by their parents get too hot if you try and incubate them on the boiler. Discovering that tadpoles kept in a glass jar don’t turn into frogs unless you give them some land to climb out onto. Realising that flower-presses were designed for delicate plants such as dandelions, and not for cacti. Learning that seashells brought back from the beach get very smelly if they still have their animals in them. Discovering that puffball fungi give off clouds of spores if you wee on them. Discovering that blackbirds’ eggs taste as good as chooks’ eggs if you fry them up on a camping stove in the garden. Figuring out that foxes eat cherries – you can find the stones in their poos. Figuring out that I could make wonderfully whiffy stink-bomb mixture by adding all sorts of sordid ingredients – dog-poo, apple-cores, ink – to the liquid accumulating in the bottom of a tree-hollow; but that if I then added real chemical stink-bomb ingredients to this then I ended up with dead-maggot stew instead. We all have stories like this. (Ed: perhaps only at FT) In retrospect, we can see that they make us who we are today. Our challenge is to ensure that the next generation is encouraged to explore and experiment too. I didn’t grow up in Tasmania, but the other side of the world in England. But I don’t think it would have made much difference to my outlook as a child. Nature’s all around us, and children the world over are tuned into it. If it’s nurtured, as it was in me, the empathy for nature can grow. Otherwise it may die away. The presence here today of so many families and children is testament to the amount of nurturing going on around us – which is wonderful to see. And what better place to do so than in our forests. Some of us are lucky in that as adults we still get to liberate our inner child from time to time – every day if we’re very lucky. That’s how I’ve managed to live my life since leaving school – right through the years of university study; of working with nature conservation organisations in the UK; of working in Uganda as a conservation trainer in the forest department and in Indonesia as a training adviser on an international sustainable forest management project. It’s how I lived my life when I was researching rainforest insects in North Queensland for my PhD. And it’s how I have done so for the past decade as a conservation biologist here at Forestry Tasmania. And despite what you might expect from media coverage of forestry issues, I don’t feel alone. Many people working in forestry here in Tasmania are naturalists at heart, and many more who wouldn’t call themselves naturalists nevertheless have a deep appreciation for the bush and an understanding of what makes it tick. Not so much sawdust in our veins, as bushdust – an empathy with the forests, and a recognition that we humans are not so much their lords and masters as their stewards. My brother and I used to call chainsaws ‘long bottoms’, because to my ear they sounded like someone doing a very long fart. Later in my youth I came to see them as the conservationist’s friend, as we went about clearing wildling pines invading the heathland where rare birds nested. Today I know that chainsaws also have more prosaic functions – people use them to harvest trees so that they can be turned into products that we all use, such as timber and paper. This would be a tragic end for the forest if harvest were indeed the end-point. But it’s not, because experience shows that the elements of nature displaced by the harvest begin to move straight back in almost as soon as the chainsaws fall silent, and the forest begins to regrow and to fill with life again. A background in natural history is good for making connections – among species and among natural processes. We learn that eagles feed on pademelons that graze on grasses and browse on young saplings; eagles nest in the old trees that grew up after the last wildfire and that escaped the browsing of pademelons; fungi and beetles recycle the trees – and even the eagles and pademelons – once they die. Eagles, trees, fungi, pademelons and beetles are all connected. Those of us steeped in natural history and ecology also make connections between humans and the rest of nature. We’re the original environmentalists. We recognise that the world faces not only a GFC but also a GEC – a global environmental crisis. I should emphasise that this crisis is not the outcome of sustainable forestry. But it is the cumulative outcome of all of our growing material demands outstripping the planet’s ability to supply. We all – especially our children – have to deal with the consequences. In this context, we still expect the world’s remaining forests to be reservoirs of nature and yet to continue to supply our material and spiritual needs. It’s a big ask, but it can be done – certainly so in a place like Tasmania, with all the expertise in forestry and conservation at our disposal. 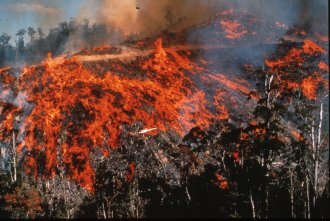 If I’ve discovered one big theme about the natural world during my life, it is that nature, for all its fragility, is remarkably resilient – think how forests recover after a bushfire. And the main take-home message from the forestry Masters course that I took at Oxford all those years ago, reinforced by daily experience since then, is that forestry is as much about people as it is about trees. Connecting the two concepts I come to a heartening conclusion. Through the increasing value that all of us place on our forests, they look set to become landscapes not of conflict but of reconciliation. Let’s see if we can use this International Year of Forests to further that end. (Tasmanian) State Labor Member for Lyons and International Year of Forests Ambassador, Rebecca White MP, was on hand to officially launch Forestry Tasmania’s celebrations for 2011. She said the UN’s theme for the year, ‘celebrating forests for people’, had struck a deep chord with her. “This theme resonated deeply with me, as it conveys the need to manage forests for many values, including conservation and sustainable development. It means that these values, which are often portrayed as being in conflict, are in fact intertwined. It also recognises that people are central to the effective management of forests. 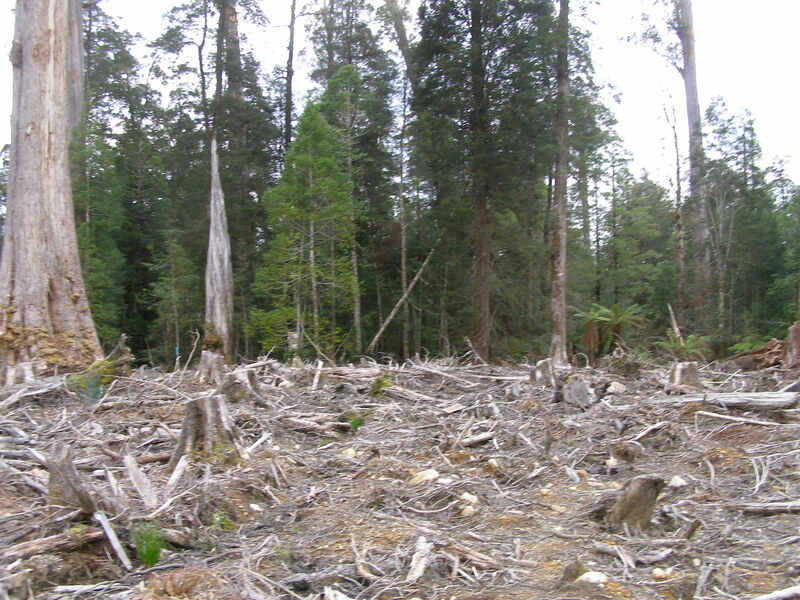 “With careful, scientifically driven management, such as we have in Tasmania, there need not be a contradiction between conserving biodiversity and providing wood products and other non-commercial values from forests. “While not all values may be delivered in any one area of forest, they are delivered across the entire landscape. While there are of course a number of challenges confronting the forest industry at present, it’s nonetheless important to remember that our state forests provide skilled employment for thousands of Tasmanians, and indirect employment for many more in our rural and regional communities. Each year about 13 million hectares of the world’s forests are lost due to deforestation, but the rate of net forest loss is slowing down, thanks to new planting and natural expansion of existing forests. From 1990 to 2000, the net forest loss was 8.9 million hectares per year. From 2000 to 2005, the net forest loss was 7.3 million hectares per year – an area the size of Sierra Leone or Panama and equivalent to 200 km2 per day. Primary forests are lost or modified at a rate of 6 million hectares per year through deforestation or selective logging. Plantation forests are established at a rate of 2.8 million hectares per year. See the World Deforestation Clock at http://www.cifor.org/defclock.